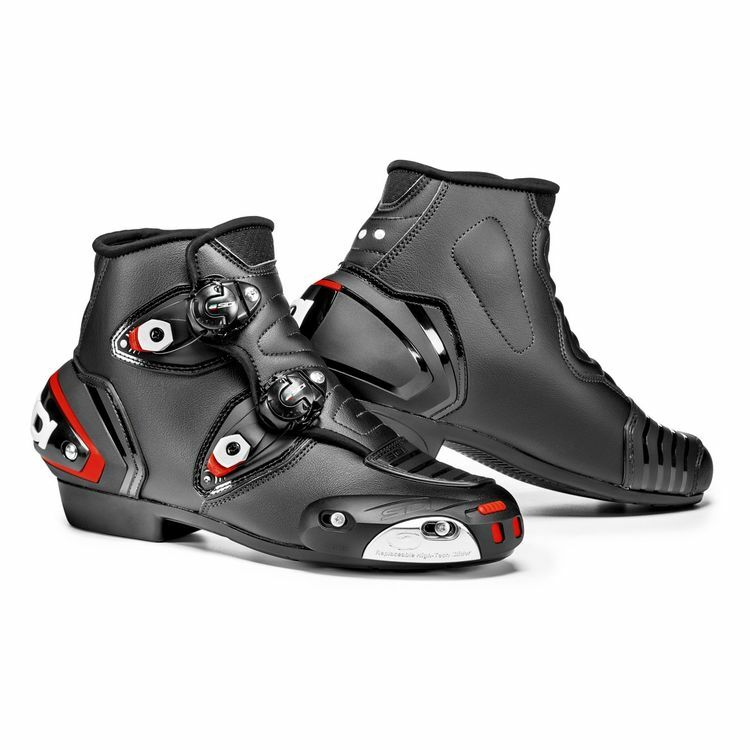 The SIDI Speedride Boots are the direct descendant of the track slaying Mag-1 race boots. With the same innovative Micrometric Techo-3 Magnetic closure system, thermoplastic resin ankle protection, shock absorbing heel and replaceable toe slider, the Speedride Boots give sport riders all of the benefits of a race boot in a more comfortable package more suitable for weekend rides or commuting. use to have the full sidi race boots and they are the premier riding boots, very pleased to see a low profile style provided. Replacement for a dying pair of AStars S-MX2 boots. Great looks and venting, nowhere near as comfortable if you do have to walk any real distance though. Love the maglock lacing system. Is this available in white/black color scheme? When will the boots be released?